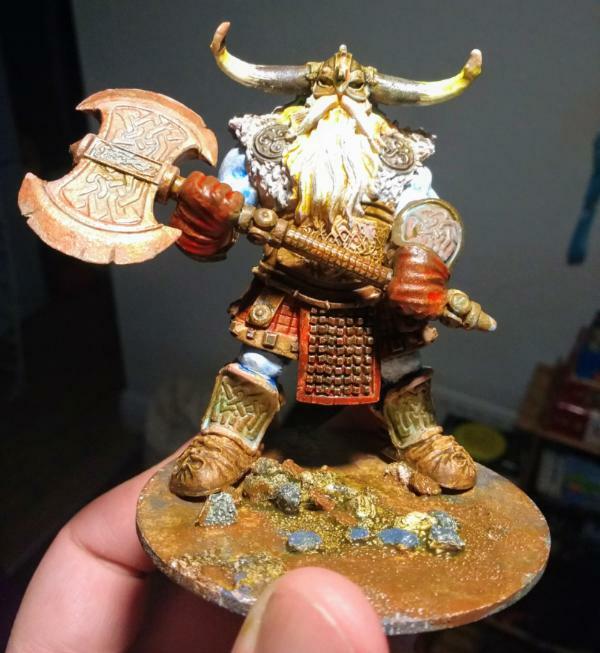 Painting Decemb-uary 2017-18: Part 6 – The Final Round-Up! | Azazel's Bitz Box. 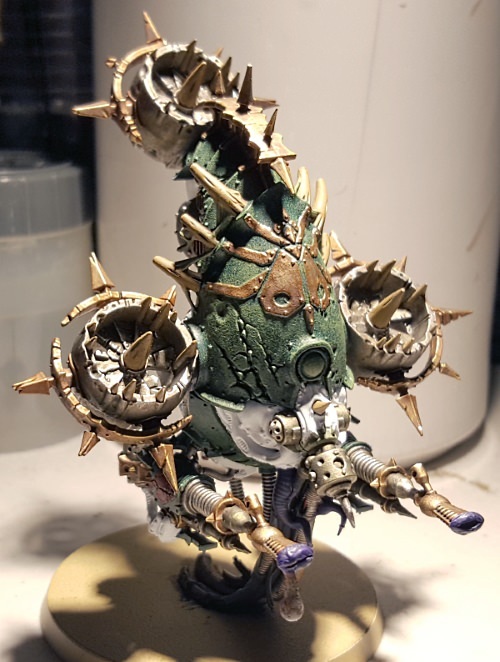 This entry was posted in Painting Decembuary 2017-18, Work in Progress and tagged Arkhan the Black, Death Dragon, Foetid Bloat-Drone, Great Unclean One, Grymdraig, Khorne Lord of Skulls, Mortarion, Mournfang Stonehorn, Necron Monolith, Ogor, Ogre, Painting Decembuary 2017-18, Reaper Bones Frost Giants, Reaper Bones Great Cthulhu, Skaven Screaming Bell, Space Marine Dreadnought. Bookmark the permalink. Great to see all those models finished and thanks again for putting this challenge to us, I know my screaming bell would still be gathering dust if you hadn’t. And likewise for you and Arkhan. An amazing looking centerpiece! Beautiful collection of entries. A real pitty I had no time to participate. Things settled down now with my move complete and some routine setting in day job wise. I hope I get painting again and finish some terrain projects. The lizardman is quite striking. The metals are spot on and the verdigris looks very naturalistic. I also like Cuthulu. Great greenish leathery skin. 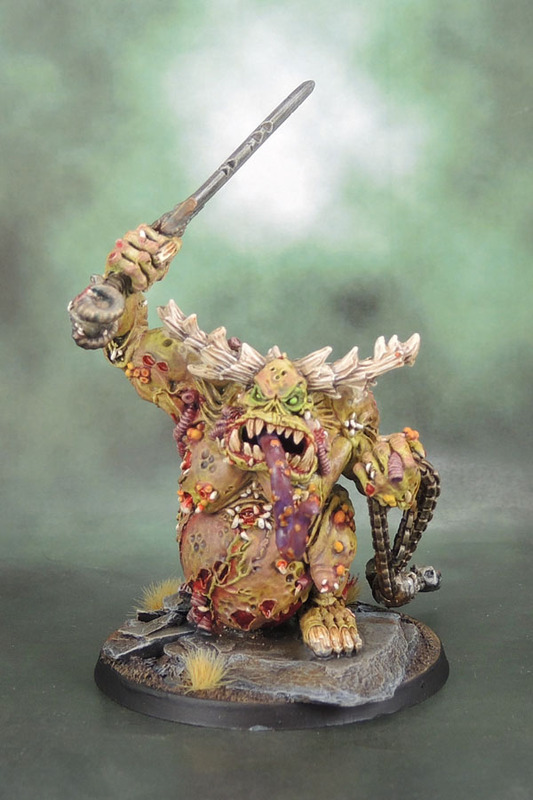 That Nurgle demon is also quite a disgusting piece of flesh and decay. Well rendered. When will you host the next challenge? There’s really great stuff there in the finished models, and honestly I’m really happy to see the progress on the stuff that didn’t get completed in January, as well. Yep what Wudugast said. I really enjoyed the challenge and it’s the first I’ve taken part in. Won’t be the last either. Thanks man and really great to hear that you enjoyed it. Hope you’re up for one of this month’s figures. Your comment about half painted figures sitting in sandwich bags was one of the things that inspired it! Yup! So I hope you’ve dug a suitable victim out for the paintening! Thanks for running this, I loved taking part! Thanks Dave. I really appreciate that as feedback. Hope you’re able to join in the next one. Cheers Mark – and agreed! It’s great to see so much finished work.